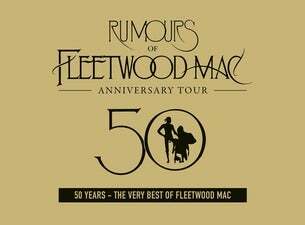 Rumours of Fleetwood Mac, the world’s finest tribute to Fleetwood Mac, returns to the stage in 2019 with its Anniversary Tour, a brand new show celebrating 50 years of the very best of Fleetwood Mac, including a very special blues set paying tribute to Fleetwood Mac's legendary Peter Green era. Personally endorsed by Fleetwood Mac founding member, Mick Fleetwood, Rumours of Fleetwood Mac is the ultimate tribute to one of rock'n'roll's most remarkable groups. The Rumours of Fleetwood Mac 50-year Anniversary Tour will run at cities across the UK from March to April 2019.